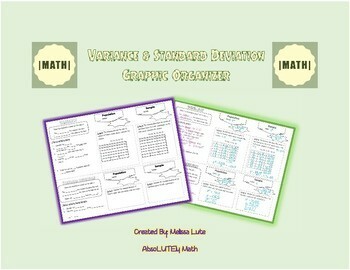 This graphic organizer provides the formula for population and sample variance, as well as population and sample standard deviation. Measurements are made easy to find by the step-by-step instructions on using a table to calculate by hand. 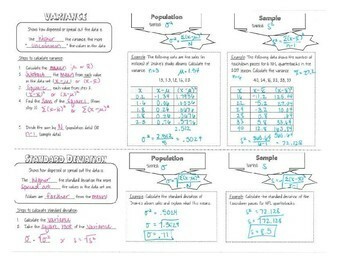 An example of each (population and sample) is included.